So those who know me are probably aware that I'm more than just a bit of an Atari fanatic. I've so far amassed a considerable collection of Atari games and consoles (and computers), and am showing little signs of stopping. 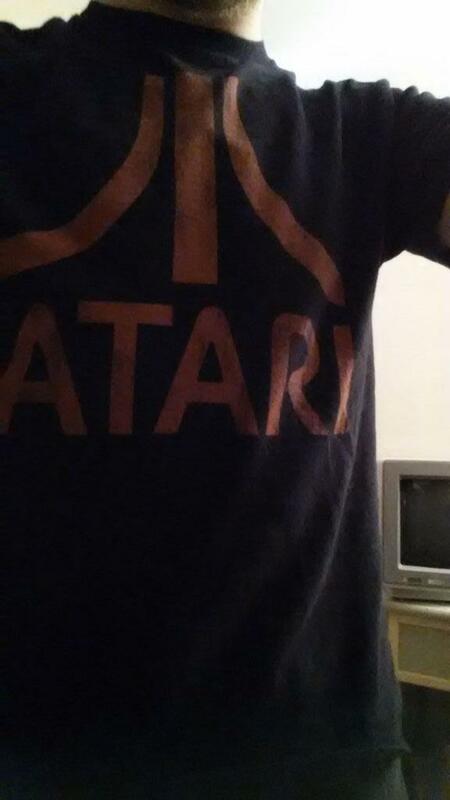 I'm also prone to enthusiastic endorsements of all things Atari, at the expense of other consoles and companies. I'll casually mention that I can't remember the last time I used my PlayStation 3 (okay, so I used it to watch Hulu this morning), or I'll ask if [insert popular game of current generation] has been released for Atari 2600. That kind of thing. I wasn't always this way, though. In fact, it wasn't until just a couple years ago that I'd ever even played Atari. Really. Having been born in 1986 (which I refer to as "the year the Atari 7800 was finally released"), I didn't reach video game age until the '90s. Moreover, since we didn't always have a lot of money in my family, video game consoles weren't exactly a common sight in my household. Confession: my first console was the PlayStation 2, which I received for my fifteenth birthday, in 2001. Seriously. Unless you count the GameBoy Pocket for which I only ever had one game, that was the first console in my house. All right; we've established that I really shouldn't have any gaming cred whatsoever. Well, okay, so there was an NES at the daycare when I was a kid, and every now and then I got a turn at Super Mario Bros. or Duck Hunt or 1941. And every time we'd head to Sears, I'd find my way to the electronics section and gawk at the video games there, playing all the demos. I guess that's really what pushed me into retro video game collecting. 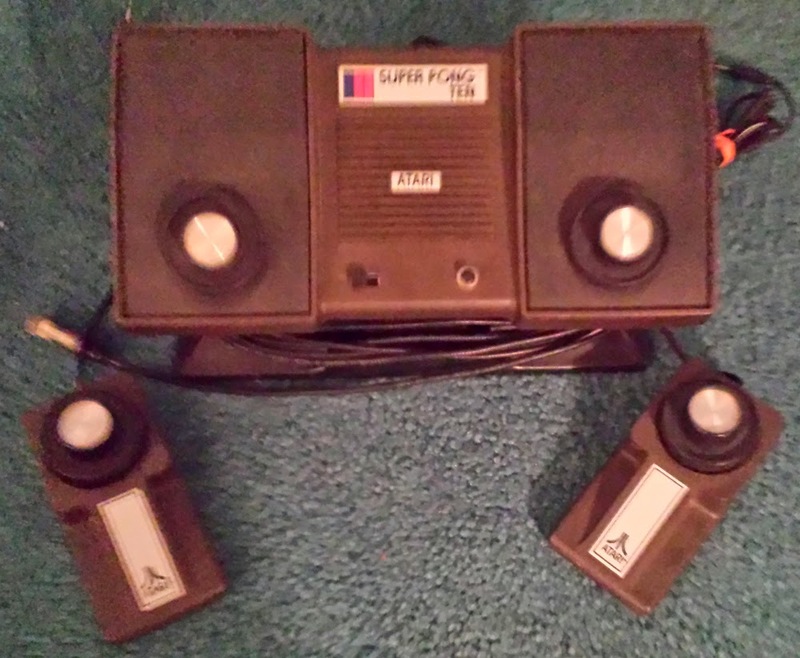 It was September 2012 when, on a whim, I put in a bid for an Atari 2600 four-switch console with a handful of games on eBay. I know this because I still have the e-mail confirmation saved. I won it for $37 plus shipping, and eagerly awaited its arrival. The games I got with the console were the usual (Asteroids, Space Invaders, etc.) immediately made a connection with me to a past I'd never known. These were the types of games that immediately come to mind when someone says the phrase "video game." It was a thrill, and I needed more. So I went to a local store that buys and sells games (and music and movies and collectibles), where they had a small selection of Atari games. I got myself a second controller and a bag of loose cartridges, and my collection grew to 10 games. Then I found more on Amazon.com, and on eBay, and elsewhere. So what is it that keeps me going? There's just something that feels right about pushing in a cartridge and flipping the power switch, and using a joystick with just a single button. Something about the way such simple graphics (even by the standards of the day, let's be honest) could come together with clever programming to make games that are actually fun to play. And, yeah, there's just a great sense of reaching back into the past to touch that era I never knew. There's really no other name (with the possible exception of Nintendo) that is so integrally connected with video games that it comes to mind immediately when the subject is raised. I may also collect for Sega Genesis, Turbografx-16, and the lovely lady Vectrex, but really...I'm an Atari guy. Going to start posting here again. I mean it...I think. I've been using my Twitter account regularly for a change, mostly in regards to retro videogaming. This blog will become, I suspect, an extension of that. Should be fun. So yeah, watch this space (all one of you).